Grain Free Training Treats 80% Turkey, Duck & Chicken. 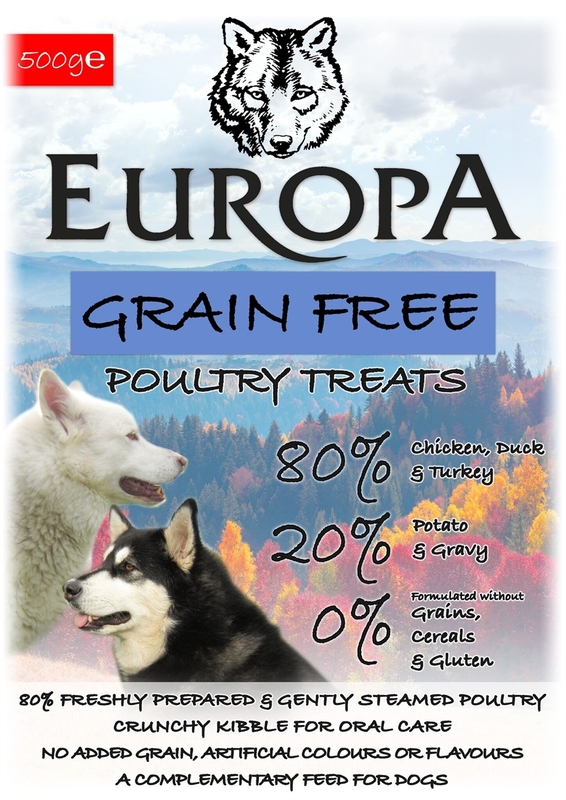 Europa Grain Free training treat, the ideal training treat with 80% Chicken, Duck & Turkey packed into a small bone shaped biscuit the perfect size for training. With no added wheats, colourants, preservatives or grains of any sort they make a healthy treat packed with lots of goodness so you can feel happy about them few extra treats while training. Extra Crunch added for oral care.